I recently learned a Japanese braiding technique called kumihimo, using eight strands. 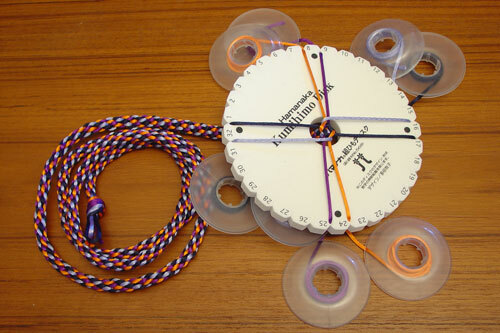 The notched foam disk and the plastic bobbins make the process very simple and portable. This is my first project. I’m excited about the prospect of combining some braids (not this thick or this colorful probably) with some vessels. For scale, the disk is about 6 inches in diameter.